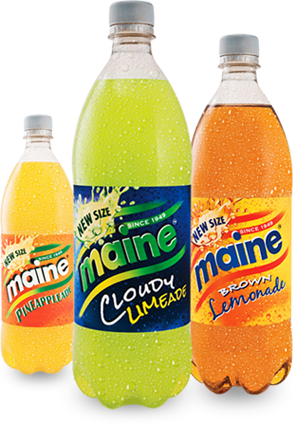 Although Maine Soft Drinks has primarily been known for its doorstep delivery service, for many years we have successfully supplied our products to shops under the Vitazade and Smak brands. 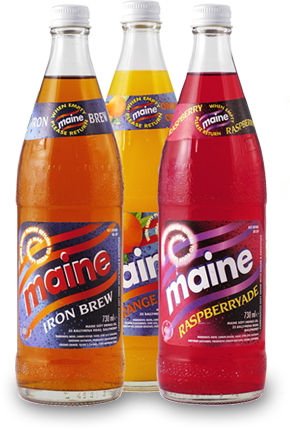 More recently the Maine brand was also introduced in a 1 Litre and a 500 ml range. For over 65 years The Maine Man has continued the tradition of delivering quality soft drinks to our doorsteps. Families throughout Northern Ireland have fond memories of regular weekly orders of their favourite flavours such as Sarsaparilla, American Cream Soda, Pineappleade and Cloudy Lime in glass returnable bottles.